REFORD, ROBERT WILSON, businessman and philanthropist; b. 3 Aug. 1831 in or near Moylinny, County Antrim (Northern Ireland), son of Joseph Reford and Grizel (Grace) Simonton Wilson; m. first 6 Nov. 1862, in Toronto, Margaret (Maggie) McCord (d. 1863), daughter of Andrew Taylor McCord*; m. secondly 12 Sept. 1866 Katherine Sheriff Drummond in Tredinnock, Stirling, Scotland, and they had three sons and three daughters; d. 15 March 1913 in Montreal. Robert Reford was the third son of a family well established in the linen industry of County Antrim. His father died in 1834 at age 40, leaving five young children. His mother moved them to Belfast, where Robert was educated at the Royal Belfast Academical Institution. In 1845 she emigrated with her family and settled in Toronto. After two years of schooling there, Reford was apprenticed as a clerk with a grocer, William Henderson, at £10 a year. His responsibilities and salary grew over the next few years. In 1852 or 1853, with savings of £200 and an equal sum from his mother, he opened a wholesale grocery business with William Strachan, a former grain buyer. Strachan and Reford did a small, steady business, but Reford left the partnership. He and his brother William Martin established a firm under the name Robert Reford and Company. In June 1863 William Ross offered to sell Reford his importing business. Ross was a member of a family of Quebec importers and a brother of James Gibb Ross* and Francis Ross. He ran a prosperous grocery business and a fleet of schooners on the Great Lakes out of Toronto, but wished to return to Scotland. Reford and John Dillon, Ross’s bookkeeper, bought the firm and operated it under the name Reford and Dillon. By 1866 Ross was anxious to return to business. In May a new company was formed with Ross providing a loan of $30,000 and a line of credit worth $10,000 for his one-third share. As part of their agreement, Reford was to establish a Reford and Dillon store in Montreal, the centre of Canada’s wholesale and shipping trade, Dillon was to manage the business in Toronto, and Ross was to assist with the consignment of goods on the vessels he ran from London to Montreal. Reford left his other business in the hands of his brother Lewis and Richard Dunbar, and in the spring of 1866 he settled in Montreal. While negotiating with Ross in Scotland, Reford had met Katherine Sheriff Drummond of Stirling, 13 years his junior, who became his second wife. Reford was to have further dealings with Ross. In 1879 Ross acquired several steamships in which Reford bought shares. At Reford’s urging, Ross inaugurated the Ross Line, running the first weekly service from London to Montreal. This partnership with Ross continued until 29 June 1886, by which time he estimated Ross had received $400,000 out of an investment of $40,000. They remained partners in other businesses, but when Ross died in 1893 he left substantial debts, including $13,000 owing to Reford’s firm. An agent for the Donaldson Line of Glasgow since it had inaugurated a service to Montreal in 1870, Reford purchased shares in its growing fleet of steamers. His benefits were not only the profits from each vessel, but also the commissions as agent for the cargoes. He later became the agent for the Thomson Line of Dundee, Scotland, which exported apples, cheese, and grain, imported fresh fruit from the Mediterranean, and pioneered the shipment of dairy products using cold storage. He added the agencies for the Great Western Line to Bristol, the Lord Line to Irish ports, and the Crown Line, Scrutton’s steamers, and the firm Pickford and Black, which brought sugar and molasses from the West Indies. His agency handled the second largest number of vessels in the port of Montreal. In 1880, of the 267 steamers docked there, Reford was agent for 55, second only to the firm of Sir Hugh Allan*, which handled 69. From 1870, the company had profits of about $50,000 per year. Reford contributed substantially to the growth of shipments of live cattle from Montreal to Great Britain. Between 1882 and 1890 his agency forwarded 187,000 head on the Donaldson, Thomson, Ross, and Temperley lines. Reford encouraged the shipping firms to build vessels with ventilation and electrical systems suited to the trade, but he had a reputation for overloading ships and for giving poor provisions. He was the agent for several vessels with large losses. 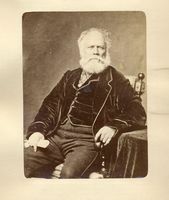 These incidents led Samuel Plimsoll, a British reformer, to campaign against the importation of live cattle into Britain, and also led to government inquiries there and in Canada. As a result, restrictions were imposed in Britain, the trade declined, and it was eventually replaced by the shipment of refrigerated meat. In January 1882 Reford had branched out into another line of business. He bought a flour mill on the Lachine Canal from James Parkyn for $26,000 and equipped it as a rice mill. He was one-third owner and president, taking as partners John Dillon, Thomas Bingham Hall, Donald William Ross, and William Ross. For several years he had lobbied the government to encourage domestic milling by dropping the duty on uncleaned rice. Operating as the Mount Royal Milling and Manufacturing Company, the firm imported rice from Burma and other parts of Asia and controlled the milling and sale of most of the rice in Canada. A mill was built in Victoria in 1885 to supply the growing Chinese population in British Columbia. After several lean years, the company threatened to move the mill to Vancouver. It secured a 20-year tax exemption and a $10,000 bonus from the City of Victoria in 1890 in return for a commitment to stay and to expand into flour milling. The mill had an uneven business, made worse by losses on unpaid bills of $20,000 in Asian ports and by the manager’s absconding with $50,000. The rice millers also came under criticism because of the tariff, which excluded imported milled rice and kept the price of domestically milled rice elevated. Sir Richard John Cartwright, the Liberal financial critic, accused the Conservatives of receiving payments from millers in return for a high duty. When the government of Wilfrid Laurier took office in 1896, it removed the tariff. The mill’s operations were suspended and thereafter it operated sporadically. Reford had numerous other investments. In 1885 he and his rice-milling partners acquired timber limits and mills on the Rivière L’Assomption in Quebec for $30,000 and they invested $100,000 in machinery, dams, flour mills, and brickworks. Reford was president of the enterprise, called the Charlemagne and Lac Ouareau Lumber Company. In 1901 he formed the York Lumber Company, with Alexander Lawrence McLaurin, Donald William Ross, and R. B. Ross, to work timber limits on the Gaspé peninsula. From the time of his arrival in Montreal Reford had bought and sold real estate. After the birth of his sixth child, he purchased in 1879 the substantial residence of David Torrance* for $30,000; he would live there until his death. For $50,000 he also acquired the adjacent property, in which William Ross took a half interest, and which was gradually sold for building lots. In his home he displayed a collection of art acquired in Montreal and Glasgow. He possessed over 100 works by Canadian artists, including 73 oils and water-colours by Frederick Arthur Verner. Other real estate investments included lots on Rue Sainte-Catherine, obtained in 1891 for $54,104, 360 lots from the estate of Sir William Edmond Logan*, and properties in Maisonneuve (Montreal). He owned summer houses in Beaurepaire and in Métis (Métis-sur-Mer), but complained that he had no time to use them because he rarely took vacations. In 1891 for $15,000 he acquired three farms in Sainte-Anne-de-Bellevue for development, but created instead a 300-acre model farm. He imported Ayrshire cattle, which he exhibited and sold across the continent. Tired of the mounting expenses of the farm he estimated had cost him $120,000, he sold it in 1904 to Sir William Christopher Macdonald, who gave it to McGill University to form the basis of an agricultural college. Reford was a part owner of the Labrador Seigniory and Lumber Company, which sought to develop hydroelectric power and salmon fishing in the former seigneury of Mingan. Shipping continued to be Reford’s main business. Following Dillon’s departure in 1876, the firm had assumed the name Robert Reford and Company, shipping agents and importers. It reorganized in 1897 and was incorporated as Robert Reford Company Limited, with Reford as president. Two sons, Robert Wilson and Andrew, as well as William I. Gear, became partners in the firm. It had offices in Quebec, Toronto, Halifax, Saint John, and Portland, Maine. By the turn of the century, shipping lines were amalgamating in order to build faster, larger steamships. New, well-financed competitors, such as the Canadian Pacific Railway, entered the cargo and the rapidly developing passenger business. Reford became concerned about the size of his investment in the Donaldson and Thomson lines’ new steamers, which were being built at a cost of £40–50,000. He invested in many vessels, because he wished to maintain his partnerships and because he was against the chartering of boats, but he did so with increasing reluctance. He sought to decrease expenses, mounting a campaign to lower insurance rates, higher for ships sailing to ports on the St Lawrence than for those going to other ports. He secured a mail contract from Saint John for the Thomson steamers and solidified that firm’s link with the Grand Trunk Railway in order to run a service from its terminus in Portland to London, which, however, incurred large losses. In 1908 the Thomson family left the shipping business to concentrate on its newspaper holdings and sold its steamers to the Cairns Line, which in turn sold its passenger service to the Cunard Line in 1911. Reford thenceforth was the Canadian agent for the Cunard Line. The Donaldsons branched out into the transportation of immigrants in 1904 and passenger bookings became an important part of the Reford enterprise. In 1911 the company built offices in old Montreal to accommodate the growing business. In 1903 Reford had been appointed to the federal royal commission on transportation, a recognition of his interest in changing the shipping industry. 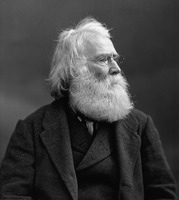 He had campaigned since 1889 to persuade Canadian and British politicians to inaugurate a fast, safe service from Halifax to Galway (Republic of Ireland), which would increase employment and promote imperial sentiment in Ireland. When the chairman of the royal commission became ill, Reford assumed the position in January 1904. He visited every major Canadian port and in the final report of December 1905 recommended the creation of national ports on the east and west coasts, the St Lawrence River, and the Great Lakes, and the construction of the Georgian Bay ship canal. He felt that his services merited an appointment to the Senate. A small town in Saskatchewan was named in his honour, but his efforts and his recommendations went largely unnoticed by the Laurier government. Throughout his life in Montreal, Reford played a prominent role in civic affairs. He was involved in efforts to better the city, the condition of its streets and parks, and the quality of its government. He was also a generous benefactor. A member of the Church of England, he supported St George’s Church, whose finances he managed for several years. In spite of quarrels with local Anglicans over their high church tendencies, he funded a scholarship at the Montreal Diocesan Theological College, contributed $10,000 to its endowment fund, and gave $25,000 to the diocese of Montreal for its widows’ and orphans’ fund. He was a governor of the Western Hospital of Montreal and was a life governor of the Montreal General Hospital, to which he gave $35,000. He donated $10,000 to the building fund of the Young Men’s Christian Association. Until 1906 he was a regular but small donor to McGill University. After hearing a speech that year by Andrew Carnegie on the need for university endowments, he challenged Montrealers to raise $1,000,000 for McGill and offered $50,000 if they did. Although the campaign fell short, he contributed his full share. A governor of McGill from 1906 to 1913, he led an appeal for funds in 1911 with a donation of $100,000, which was used to endow the Robert Reford chair of anatomy. His wife also gave to McGill and they were generous to many other religious and civic charities. Reford’s other benefactions were directed to his brothers’ children, whom he educated and helped establish in business, but he was generally disappointed in their performance. Reford held directorships in many of the companies in which he invested: the Lake of the Woods Milling Company Limited, the Nova Scotia Steel and Coal Company Limited, the Montreal Grain Elevating Company, and the Paton Manufacturing Company of Sherbrooke. His interest in the Crown Reserve Mining Company, out of which the Crown Trust Company was born, led to his being named the trust’s first president in 1897. In March 1892 Reford was elected the Montreal director of the Bank of Toronto. He had been associated with the bank since he started in business and had borrowed heavily from it for his purchases of real estate, stock, and steamers. He helped the bank develop its business in Montreal. Reford was a member of the Montreal Board of Trade and was the representative of the Shipping Federation on the board of the Montreal Harbour Commission from 1901 to 1905. In looks, Reford was tall and handsome, and in demeanour, methodical and tireless. He was abrupt and often critical. Known to his children as “the governor,” he was rarely satisfied with their achievements or those of his partners and told them so in reams of letters. He supported an extended family network, none of whose members matched his brilliance in business. Reford never retired, managing his enterprises until his death. He did not entirely trust the abilities of his sons, only the eldest of whom, Robert, continued in the family firm. As a businessman, Reford was one of the most successful of his generation. Not confining himself to shipping, he took on other, often more remunerative, concerns. Yet, in spite of the erratic nature of the business, shipping was the passion which ruled his life. He crossed the Atlantic more than 80 times in pursuit of his interests. At the end of each year, and before every transatlantic voyage, he carefully catalogued his assets, which grew steadily from $112,000 in 1870 to $608,000 in 1890, to $1.8 million in 1905. When he died in 1914, his net worth was valued at $2,651,609 in steamers, properties, stocks, and various businesses. After his death, the Refords retained their interest in the shipping and milling companies, both of which encountered difficulties. The rice-milling company became insolvent in 1918, but was refounded by Reford’s son Robert and grandson Eric and became a public company in 1946. The shipping company was taken over by the Cunard Steam Ship Company Limited in 1945, but was bought back by the family in 1947 and since then has continued as a shipping agency run by descendants of the founder, serving the port of Montreal as it has done since 1866. Robert Wilson Reford’s large collection of personal papers forms part of the Robert Reford Company Limited Arch. (Montreal); the papers include his private letter-books and personal correspondence, a short autobiography, a family history entitled “Family notes,” a notebook chronicling his various business enterprises and the history of family members, and wills, codicils, and an inventory of the Reford estate. The corporate letter-books of Reford and Dillon, Robert Reford and Company, and William Ross and Company are in NA, MG 28, III 59. One of Reford’s speeches was published under the title “Transportation” in Mining Soc. of Nova Scotia, Journal (Halifax), 12 (1907–8): 23–56. AO, RG 80-27-2, 1: 100. Baker Library, Harvard Univ., School of Business Administration (Boston), R. G. Dun & Co. credit ledger, Canada, 27: 214. Can., House of Commons, Debates, 1890; Parl., Sessional papers, 1891, no.7b; 1906, no.19a. Commemorative biographical record of the county of York . . . (Toronto, 1907). S. B. Frost, McGill University: for the advancement of learning (2v., Montreal, 1980–84), 2. Harbour Commissioners of Montreal, Annual report, 1884–90, 1893, 1899, 1900, 1903, 1905. McGill Univ., Board of governors, Annual report (Montreal), 1905–7, 1910–13. Alexander Reford, “REFORD, ROBERT WILSON,” in Dictionary of Canadian Biography, vol. 14, University of Toronto/Université Laval, 2003–, accessed April 24, 2019, http://www.biographi.ca/en/bio/reford_robert_wilson_14E.html.